Scotland has several scenic heritage railways and a large range of transport museums, such as Glasgow's new Riverside Museum, as well as a wide range of maritime, road and aviation museums. Don't miss the lovely Loch Lomond paddle steamer the Maid of the Loch, a great place for a meal or a cuppa. The Steam Heritage Guide includes contact details, opening times and description of preservation and heritage attractions across the whole of Scotland. Grampian Transport Museum, Alford, Aberdeenshire, AB33 8AE. Garrison House & Grounds, Millport, Buteshire, . Sun 12th May 2019: How Many Left? Montgarrie Road, Alford, Aberdeenshire, . Scottish Vintage Bus Museum, M90 Commerce Park, Lathalmond, Dunfermline, Fife, KY12 0SJ. Bus Running Day. Free vintage bus services operating around the local area. Whitefordhill Agri-Centre, (on A70 next to Livestock Auction Market), Ayr, Ayrshire, KA6 5JW. A brand new motor show for Ayrshire from the organisers of Dumfries Motor Show, for any type of vehicle – cars, commercials, motorcycles, vans. The Station, Milton of Crathes, Banchory, Aberdeenshire, . A fine display will be on display in the events field next to the railway. Park Farm Showfield, New Abbey Road, Dumfries, Dumfriesshire, DG2 7LU. Thirlestane Castle, Lauder, Berwickshire, TD2 6RU. Lady Stair Park, Glenluce, Newton Stewart, Dumfriesshire, . Deeside Activity Park, Dess by Aboyne, Aberdeenshire, . The 60th Annual rally and run. Errol Airfield, Grange, Errol, Perthshire, PH2 7TB. 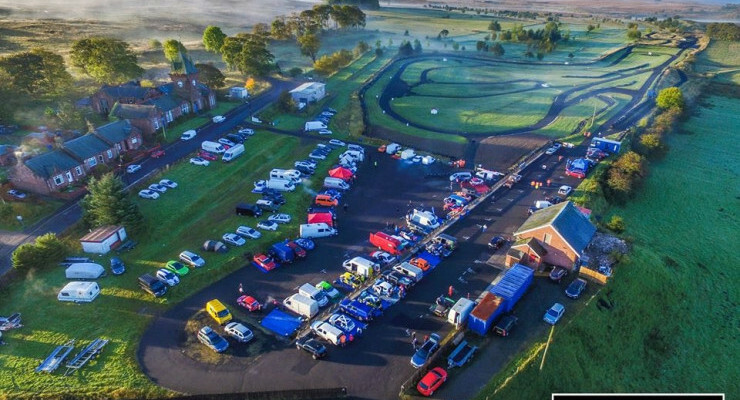 East Ayrshire Car Club, Kames Motor Sport Circuit, Muirkirk, Ayrshire, KA18 3QQ. Sun 9th Jun 2019: Truckmainia! M90 Commerce Park, Lathalmond, By Dunfermline, Fife, . Trucks of all sizes and ages will be on display for all to see. It will be a gathering of historic military hardware, with demonstrations, rides and period displays. Castle Fraser, Sauchen, Nr Inverurie, Aberdeenshire, AB51 7LD. Keith and Dufftown Railway, , Banffshire, AB55 4BA.